Squamous cell carcinoma of the lung is associated with smoking in its development and comprises about 20–30% of all lung cancers. Its treatment strategy had been limited for the past decades, inevitably resulting in the poor outcome. However in the 2010s, it has dramatically changed mainly with the recent clinical introduction of immune checkpoint inhibitors. In this review, we will introduce various clinical studies involving squamous cell carcinoma of the lung. 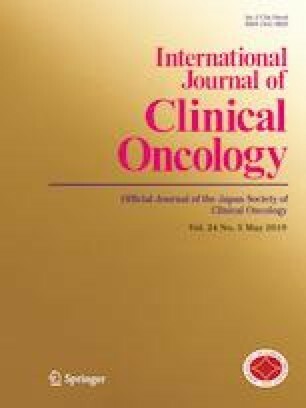 This article is a secondary publication of the review article “Treatment for Advanced Squamous Cell Carcinoma of the Lung” accepted to Japanese Journal of Lung Cancer 2018 vol 58, page 325–330 in 2018. Satoru Senoo has no conflicts of interest. Kiichiro Ninomiya received honoraria from Astrazeneca, MSD, Bristol-Myers Squibb, and Ono pharmaceutical. Katsuyuki Hotta received honoraria from Astrazeneca, and MSD, and research funding from Chugai pharmaceutical, Eli Lilly Japan, Bristol-Myers Squibb, and Astellas Pharma. Katsuyuki Kiura received honoraria from Astrazeneca, and Eli Lilly Japan, and research funding from Astrazeneca, and Chugai pharmaceutical.